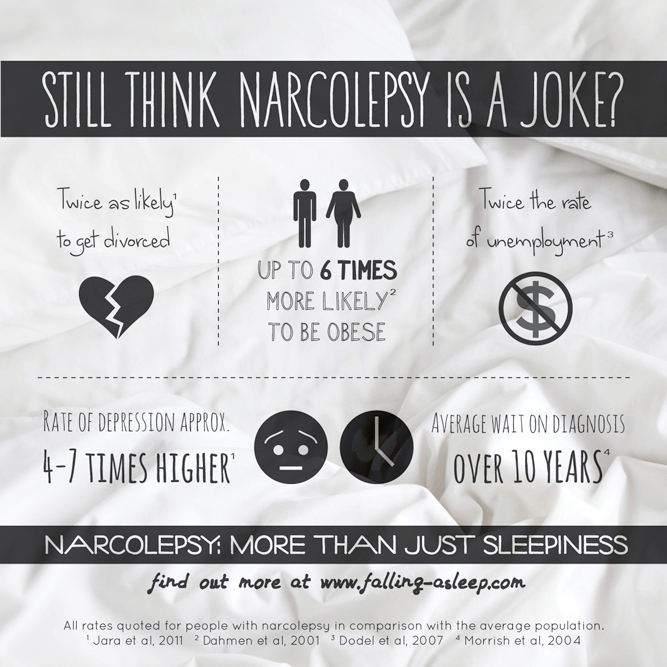 Want to help spread narcolepsy awareness? Great! Spreading awareness is one of the easiest thing you can do to help improve the lives of all people with narcolepsy. The lack of public awareness and resulting ignorant attitudes cause a deep feeling of isolation for many narcoleptics, and largely explain the highly increased rates of depression in PWN, but luckily it is very easy to make change on an individual level by simply letting people know that narcolepsy is a real and serious condition that should be met with empathy! 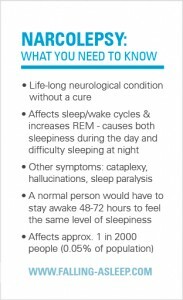 These info cards are the same size as a business card (print with page scaling turned off for correct sizing) and are ideal for keeping a couple in your wallet in case you need to explain narcolepsy to someone. Giving someone a card is more helpful than only speaking to them, as they will have something to refer back to later and can also go to the web address to find more information if they are interested. Alternatively you can just use the card for your own benefit, to remember the main points when explaining narcolepsy to others. Print on light cardboard for the best result. This is an information sheet I have put together to help employers better understand the needs of employees with narcolepsy. This could also be used by people with narcolepsy who are researching different ideas for workplace accommodations that might work for them. 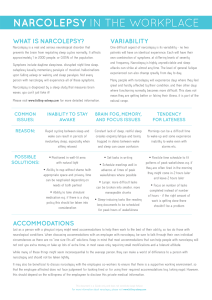 This sheet does have a brief run down of what narcolepsy is, but if you want to fully explain it to your employer it might help to bring this along with the “How does narcolepsy work?” infographic below. These animated gifs can be pasted into Facebook comments, Instagram stories or text messages! There are currently images for cataplexy, hypnogogic/hypnopompic hallucinations, and brain fog/anxiety. To use on a computer, click the GIPHY link below, click the image you want to use, then right click the image and copy. After that you can paste wherever needed. 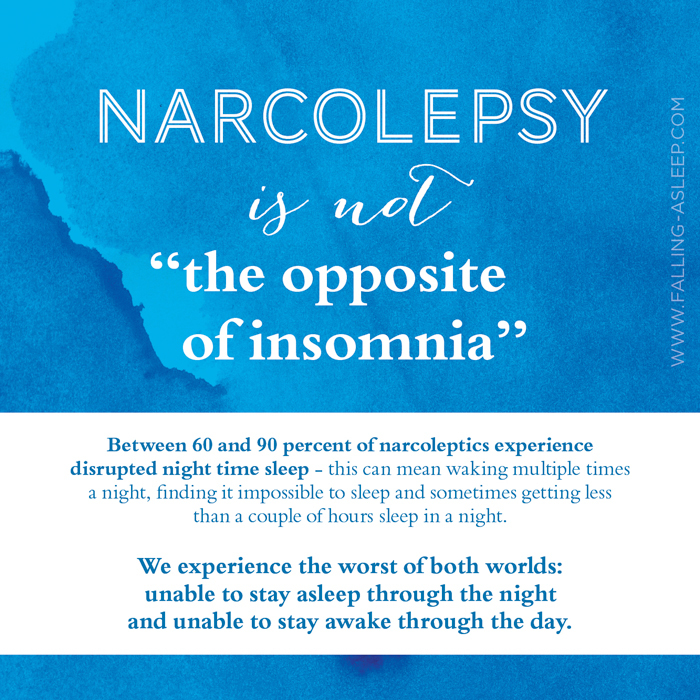 Here’s a few images that you can post on social media such as Facebook, or send to friends and family to help you explain different aspects of narcolepsy. Click on them to get the full size image. This is a misconception that I deal with quite frequently, so it's useful to have a nice graphic that will succinctly explain. 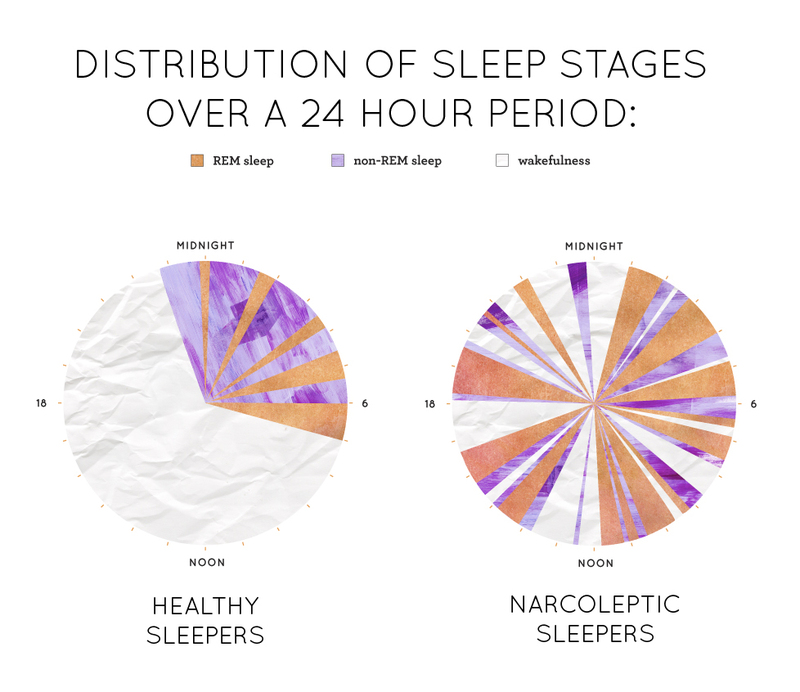 I know it's included in one of the infographics above, but this is my go-to image when trying to explain narcolepsy to anyone. It clearly illustrates just how differently our brains work - you don't have to understand much to see that the narcoleptic image is not normal! This is a little animation I did to illustrate my normal experience of cataplexy: a head bob and knee buckle, followed by a full collapse in stronger attacks. 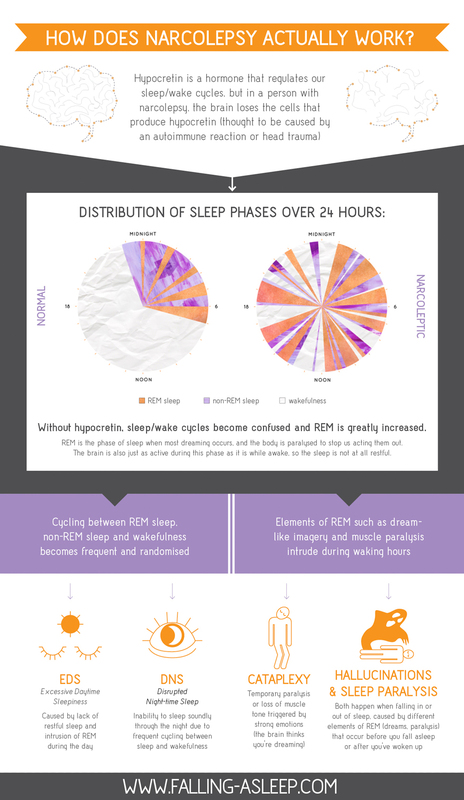 I'm posting it here as it might help you to explain cataplexy to those who haven't seen it happen in person. 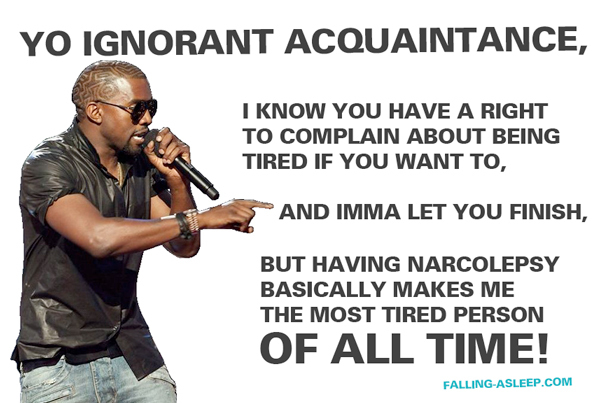 This one is just a bit of a joke, but I think many of us with narcolepsy can relate to this feeling!